To inform you about RISE UP, Ultimate’s first professional instructional video company. To ask for your support in making sure RISE UP becomes a reality. The mission of RISE UP is to improve the level of play of Ultimate teams and players through the creation of engaging instructional videos created by experts. Our goal is to create useful teaching tools that empower players at any level to call a friend, grab a disc, and immediately improve their game. It’s as simple as that. 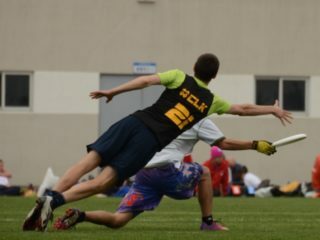 RISE UP begins with a story, one that many Ultimate players can relate to. 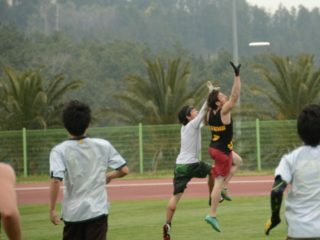 The story starts in the heart and mind of an ultimate player who found himself addicted to a phenomenally intriguing sport community, and wanted to learn everything he could about how to play, but lacked the resources or connections to help himself get better. As someone who attended a school that lacked Ultimate tradition, I found myself, essentially, teaching myself how to play, learning by trial and error, and watching other great teams and players at tournaments in order to gain insight. Those incredible teams seemed to, not only be miles ahead of where I was, but also, because their schools had recognized, established Ultimate culture and programs (i.e. Wisconsin, Carleton, Paideia, Amherst), those players also seemed to be learning at a rate that was much quicker than me and my small-school teammates. 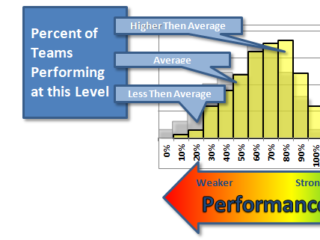 I realized those programs had people (captains, coaches, alumni) who had played at the highest level of the sport, and were now passing on everything they knew, allowing players to skip the inefficiency of trial and error, moving quickly towards best practice. My team didn’t have access to people like that. The deck seemed to be stacked against us. This situation still exists for many players in the ultimate community. There had to be a way to communicate these phenomenal lessons to those without the privilege of attending these historic learning hubs. Enter, RISE UP. 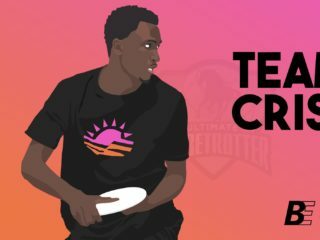 The sport and community of Ultimate is growing and expanding at an incredible rate, an Ultimate renaissance is at hand. Thanks to incredible organizations like Skyd Magazine, Nexgen Network, and Ultivillage, Ultimate players and fans who have been starving for more of what they want are finally feeling like they have resources to quench their thirst. 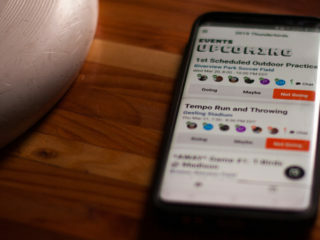 With this growth in the spread of news, knowledge, and ideas, we think it makes sense that there should also be progress and growth in the way people learn how to PLAY Ultimate. I am proud and humbled to hope to create what will be an ultimate education revolution… RISE UP. RISE UP is being created for players and coaches at any level who want to make their teams better. Subscribers will not only have access to high-level knowledge to guide their skill development, but also a new arsenal of concepts and drills to help their team improve. Seasons one and two will be shot and edited throughout the summer of 2012, with a planned launch of Season 1 in the Fall of 2012, perfect for the start of the Youth and College season. Straight to the point, this project will not happen without the financial support of the ultimate community. You. RISE UP needs to raise $10,000 to shoot and edit the first 2 seasons. To help us in our quest, we will be using Indiegogo, a reward-based fundraising platform (similar to Kickstarter, which has already proven successful in funding Chasing Sarasota and Nexgen Network) that helps motivated individuals manifest their dream projects. However, if we don’t make it to $10,000, we don’t get any of the money. You can get a preview of what a RISE UP video will look and feel like on our Indiegogo page. The process is pretty simple. If you contribute, you will earn a reward, based on the level of your contribution. As an added incentive, if you get involved now, with a contribution of $30, you can get a discounted rate on an individual subscription to Seasons 1 and 2. That’s over 20 videos for $30, $10 off the retail price. There are also incentives for lifetime individual subscriptions, team subscriptions, and an opportunity for you and your team to be the stars in a personalized RISE UP season! We want this to be a worthwhile investment for everyone, no matter what level of contribution you are able to make. From the most humble place in our hearts, we truly appreciate your contribution. The Ultimate community has grown and flourished due to the passion and commitment of you, the incredible individuals who call yourselves ultimate players. RISE UP is committed to making the Ultimate community stronger, and, in the end, we will appreciate whatever support you can offer, financially or otherwise. We welcome any questions you may have, and encourage you to follow our progress on Facebook and Twitter (@RISEUPultimate).